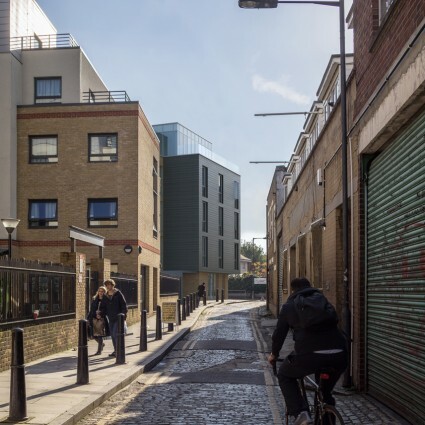 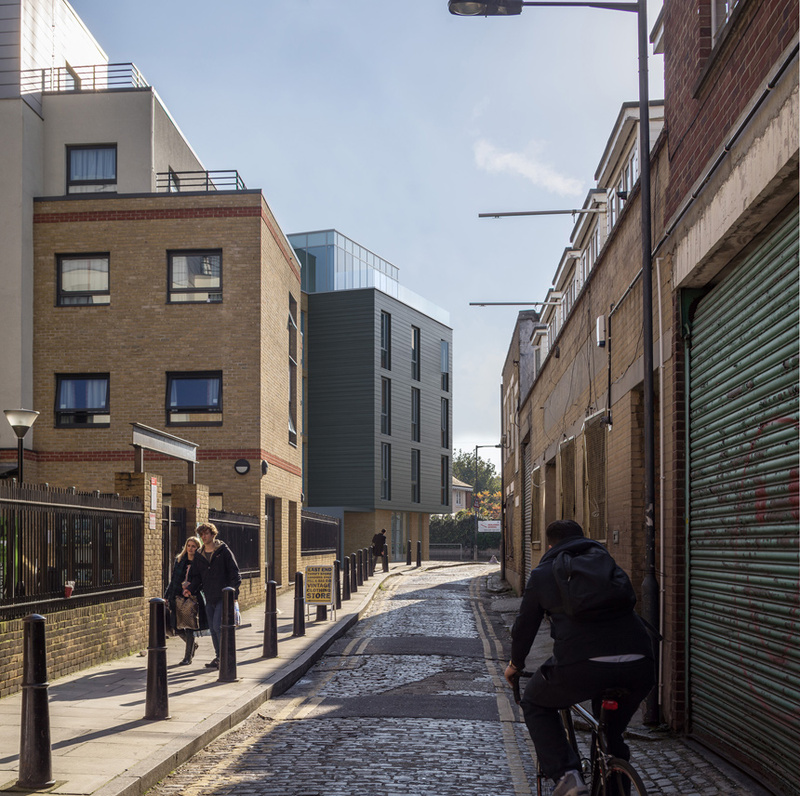 This urban infill scheme provides seven new homes and a commercial unit on a left over brownfield site in up-and-coming Whitechapel. 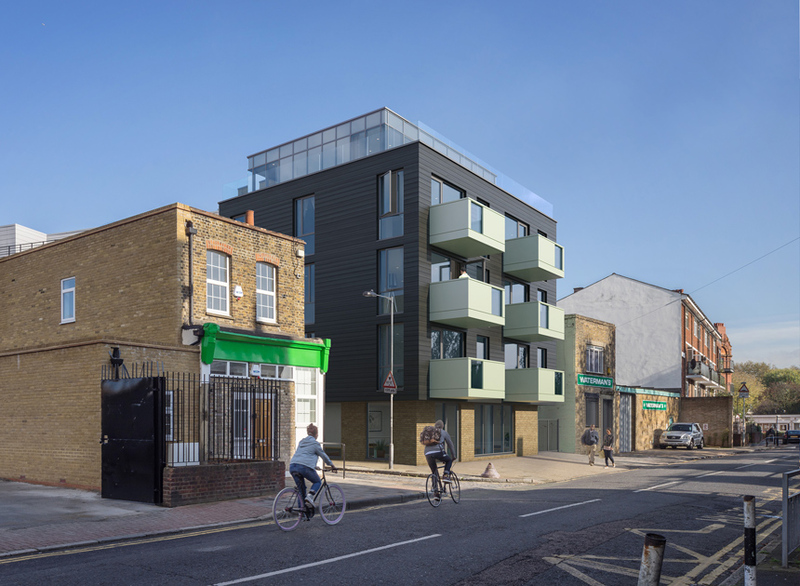 It includes public realm improvements to the adjacent historic Assembly Passage and a stained black weatherboarded façade with pop-out, aluminium-clad balconies. 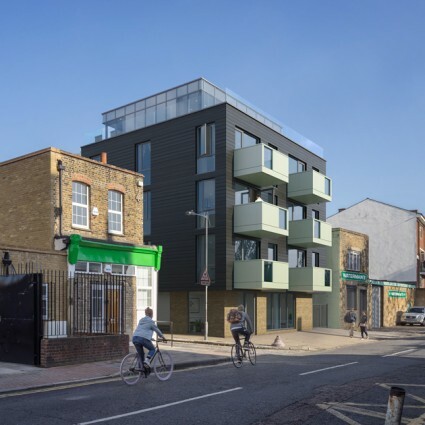 The light-filled and heavily insulated homes achieve Code for Sustainable Homes Level 4.